The term “high-risk pregnancy" sounds scary. It refers to a pregnancy in which either you or your baby are at risk of complications. The good news is that you can take steps to promote a healthy pregnancy and reduce the risk of negative outcomes in the process. Our experts discuss practical, yet crucial ways you can keep yourself and your baby bump healthy from conception to delivery. Dr. Daniel McDonald along with Dr. Marc A. Wilson is dedicated to providing women with high-quality care. Through our Denton, Texas practice OB/GYN Specialists, we care for women who have high-risk, as well as uncomplicated pregnancies. A high-risk pregnancy is one that requires extra care to have a healthy pregnancy and delivery. Various factors can make your pregnancy high risk, such as having a chronic illness or abnormalities with the developing fetus. It’s also possible, to begin with a normal pregnancy and develop conditions, such as high blood pressure, that put you or your baby at an increased risk. The team at OB/GYN Specialists are experienced with guiding mothers through high-risk pregnancies, but did you know that early action can lower the chance of having one? Here’s how. 1. Effectively treat pre-existing conditions. One of the first steps to preventing a high-risk pregnancy is to get any pre-existing conditions under control to reduce the risk of complications during pregnancy and delivery. Talk to your doctor about ensuring your condition is effectively managed so that you and your baby are safe. For instance, if you have high blood pressure, it’s important to treat it and bring your level within a healthy range. The same goes for diabetes, controlling your blood sugar helps reduce the risk of complications. Discuss any pre-existing conditions with your OB/GYN for guidance on how to best reduce the chances of pregnancy complications related to your condition. Being overweight or obese can have a major impact on your health and the health of your developing baby. Obesity increases the chances that you’ll develop conditions during your pregnancy that increase the risk of complications, including gestational diabetes and high blood pressure. It also increases the risk of certain birth defects, such as neural tube defects. If you’re planning on becoming pregnant and are overweight, losing weight can significantly reduce your risk of having a high-risk pregnancy. You can still have a healthy pregnancy if you are overweight. Careful management of your risk factors is essential. Discuss a healthy dietary and exercise plan with your obstetrician. It’s wise to continue making healthy meals and exercising during your pregnancy. 3. Screen for genetic abnormalities. You may have genetic mutations that increase the risk of your baby having a chronic health issue. In the past receiving a prenatal diagnosis for a serious health condition came as a surprise. Today, your provider can easily screen for more than 100 recessive genetic diseases. The best time to screen for genetic abnormalities is before conception. You have limited options once you become pregnant. Genetic counseling provides the opportunity to know your risks ahead of time so that you can plan and prepare. 4. Lower the chances of birth defects. You can take a number of steps to reduce the risk of birth defects. Plan ahead to avoid harmful substances, including alcohol, tobacco products, and illicit drugs. Reduce your exposure to chemicals, and take steps to avoid nutrient deficiencies. If you currently follow a less-than-healthy diet, it’s a good time to plan nutrient-dense meals. Nutrient deficiencies increase the risk of birth defects like spina bifida, a condition that affects your baby’s spine. Eating a varied diet with plenty of fruits, vegetables, whole grains, lean proteins, and healthy fats will help provide the nutrients necessary to maintain a healthy pregnancy. Providing the extra care necessary for a safe and healthy pregnancy and delivery is paramount. 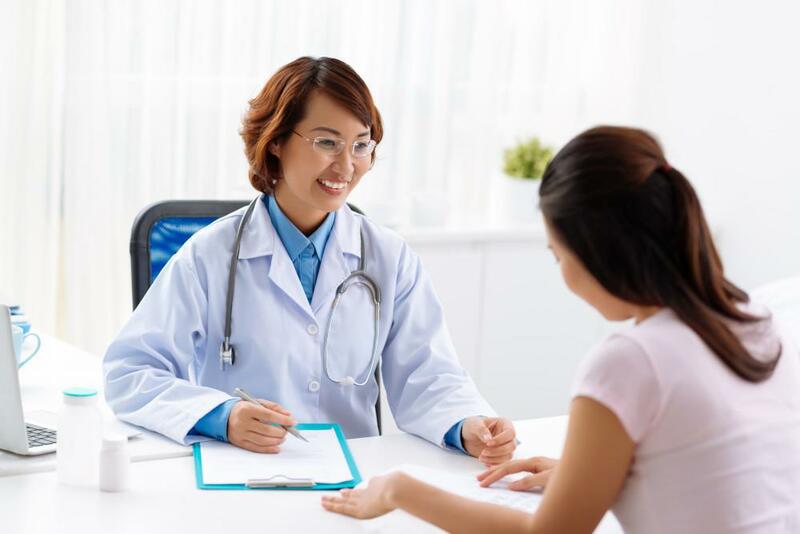 For the best in obstetric and gynecological care, visit the team at OB/GYN Specialists by calling our office to schedule an appointment or booking your appointment online. You may have cervical cancer and not even know it. To honor National Cervical Cancer Awareness Month, get proactive about your health and schedule your next Pap test today. It could be a life-saver.